“This is going to allow us to improve service for our patients,” said Dr. Gregg S. Meyer, chief clinical officer at Partners HealthCare. After two years as an intensive care nurse at Brigham and Women’s Hospital, Aqua Bang will no longer need to carry a pen and binder to record the vital signs of her patients. Instead, that information will instantly flow from bedside monitors to each patient’s computerized health record, part of a massive information technology system launched over the weekend by Partners HealthCare. The new system will eventually house millions of patient records across a network of 10 hospitals and 6,000 doctors. It comes with a $1.2 billion price tag, the single biggest investment Partners has ever made — nearly twice what it cost to build the massive Lunder Building at Massachusetts General Hospital in 2011. While it’s a big shift for employees, the new system will initially change little about what patients experience at the hospital. 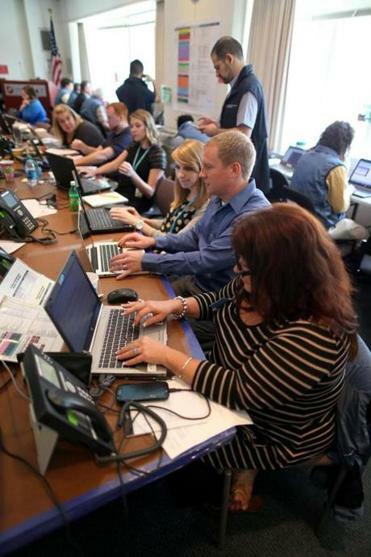 Eventually, however, it will allow patients better online access to their medical information. And it has the potential to reduce medical errors. Instead of a separate record at every Partners facility, a patient will have one record throughout the Partners system, so information is more readily shared among doctors. The investment is part of a gamble by Partners and the US health care system that spending vast amounts on information technology will pay off in better health care at lower costs. Hospitals across the country are investing billions of dollars in electronic medical records systems, pushed by the Obama administration and insurers, which are adopting payment systems that require careful coordination of medical services. The costs of the technology upgrades will eventually get passed on to consumers through health insurance premiums, and to taxpayers, who subsidize Medicare and Medicaid, the government health care programs for the elderly and poor, said Dr. Paul Hattis, a professor at Tufts University School of Medicine and member of the state’s Health Policy Commission, which monitors medical costs. Cyber criminals are sending official-looking emails to trick employees into giving up passwords or other credentials. Eventually, the new system will allow patients better online access to their own medical information. Other Massachusetts hospitals have recently adopted similar systems, although Partners’ is far bigger, given the network’s greater size. Partners’ new technology will replace a patchwork of dozens of software programs used by different hospitals, departments, and clinics in the Partners network. The potpourri of software has made it difficult for doctors in one Partners facility to consult information about their patients’ visits to other Partners facilities. Even critical information like allergies to medications can be easy to miss. Partners officials promise the new system will give doctors, nurses, and clinical staff anywhere in the network easy access to the most up-to-date information about patients. Partners also is building a Web portal to allow patients to check their medical information, schedule appointments, and interact with caregivers in ways, such as through questionnaires, that weren’t possible with older systems. “It’s right for people to think, ‘Is this the way we should spend our health care dollars?’ ” said Dr. Gregg S. Meyer, chief clinical officer at Partners. The launch this weekend, which hospital officials dubbed “the big bang,” included the Brigham, Partners’ Faulkner Hospital campus, its clinical partner, Dana-Farber Cancer Institute, and Partners’ home care division. The new technology will be rolled out to the rest of the Partners network, the state’s largest, through 2017. It is scheduled to be launched at Massachusetts General Hospital next April. The system, developed by Epic Systems Corp. of Verona, Wis., has been three years in the making. It has grown in scope to cost double the initial estimate of $600 million. Partners hired 600 new employees and hundreds of consultants to work with Epic to build the system and then train thousands of doctors, nurses, physician assistants, and other workers to use it. “At the core of all of this is patient safety,” said Dr. Ron M. Walls, the Brigham’s chief operating officer. The system, which has been dubbed Partners eCare, will send doctors alerts when a patient needs an immunization, a colonoscopy, or a test. It also will allow doctors to more easily analyze patient data. Dana-Farber, for example, can start monitoring how patients respond to a certain chemotherapy drug to help determine who should receive that drug in the future. Developing the system also included building firewalls and other security features to protect data from cybercriminals hunting for private information, Partners officials said. Dana-Farber and the Brigham beefed up staff over the weekend to help clinicians navigating the system for the first time. More than 1,500 extra staff were on hand, including doctors, nurses, technology specialists, and a variety of temporary workers. About 450 software specialists spent the weekend at computer screens in a sprawling makeshift command center at Dana-Farber, fielding a steady stream of calls from employees running into problems. Most of the issues were minor and expected, including problems logging into workstations and printing documents, hospital officials said. Bang struggled a bit to find her way through the system as she grappled with the small issues of learning new software, such as finding the right buttons to click. When she got confused, she flagged down one of the support staff patrolling her unit. 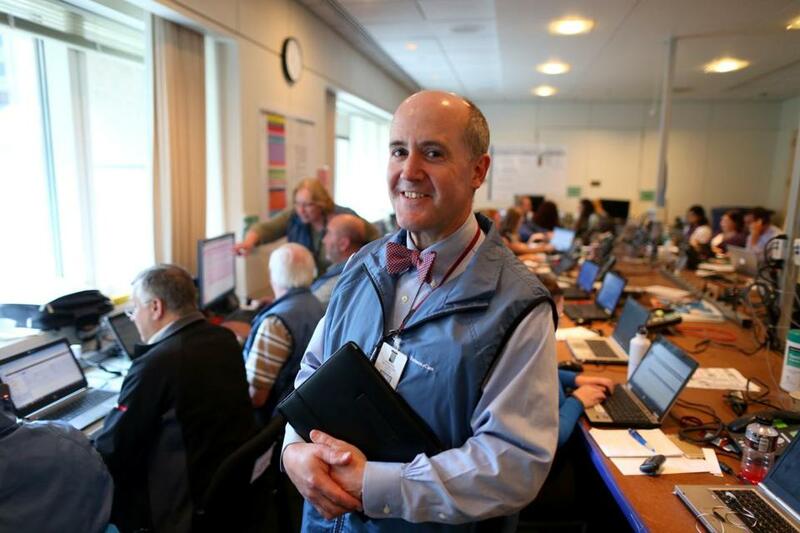 The Brigham, anticipating that staff will need time to get used to the system, reduced the number of patient appointments for the next several days, a change that will cost the hospital about $15 million in lost revenue. Lahey Health of Burlington is spending $160 million to install its new Epic health records system, launched in March. Boston Medical Center has also installed Epic, at a cost of $100 million, moving patients to the new system over the past year. Both BMC and Lahey are much smaller than Partners. 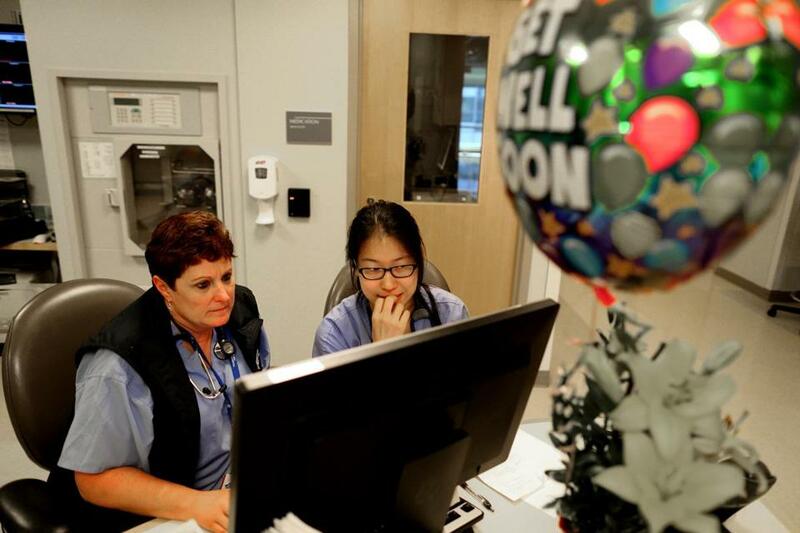 Surgical nurses Linda B. France (left) and Shawnee Song worked on a new IT system.